All kennels are internal and each is licensed by South Ayrshire Council to be of sufficient size for two dogs from the same home to share. Each kennel is fully tiled and individually heated. We also have five large family kennels, three at 50 square feet, each of which is capable of housing five small dogs or four large dogs from the same family. 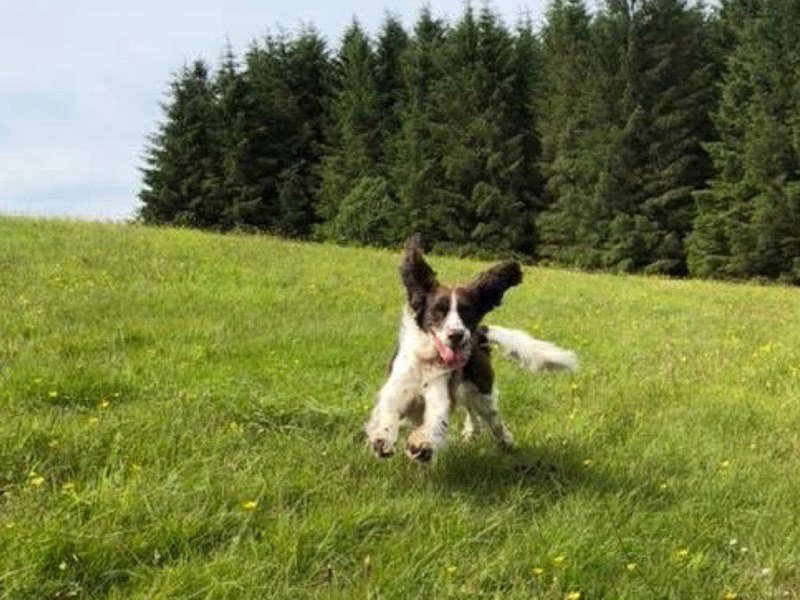 Dogs in our care are walked individually, four times a day, on 22 acres in our own fields. These are managed grass with no farm stock around which means that most dogs are able to run free provided they are reliable on recall. 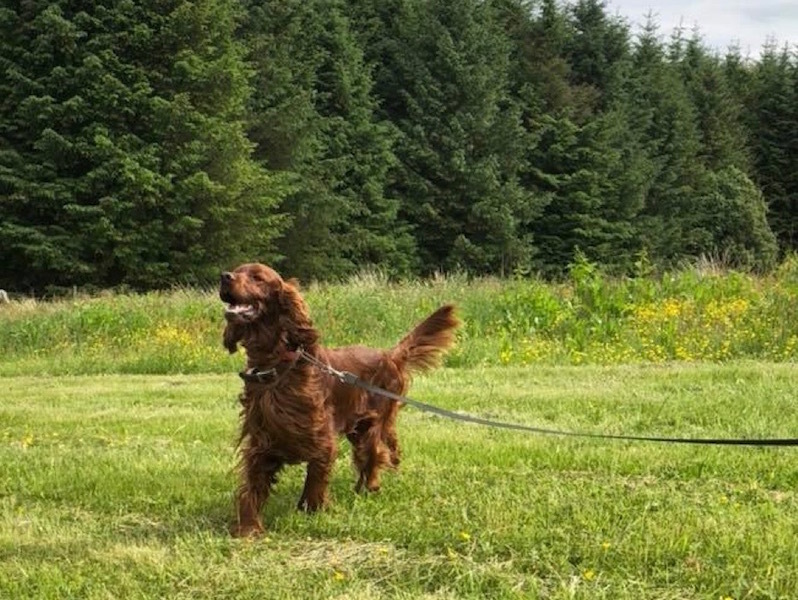 If we cannot free-run your dog, we exercise on 20-foot flexi-leads followed by a play in our large, secure play area. All dogs are fed twice a day, morning and evening, with chews and biscuits being provided after each meal and walk. Hyware beds, blankets and towels, just in case it rains, are provided, together with a large carpet mat in the doorway of each kennel. 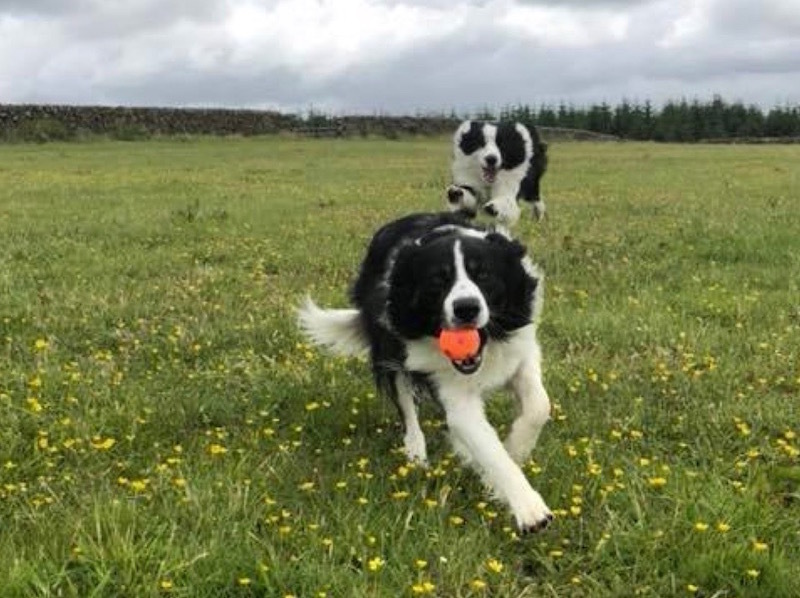 We are able to receive or release your dogs at most times to suit you, but we prefer admissions to be as early as possible in the day so that we have time to get used to each other and your dog has a chance to become familiar with the surroundings before going to bed. All dogs must have annual vaccinations, boosted within the last year. We welcome ailing dogs, such as insulin dependent diabetics or nursing cases. Please telephone us to discuss your dog’s requirements and, if necessary, allow us time to consult your veterinary surgeon.